Fight back with Symbiotics Colostrum Plus with Immulox and Lactoferrin! Nature provides an immune defense network, but your Immune system is challenged by normal physical and mental stress, as well as aging. 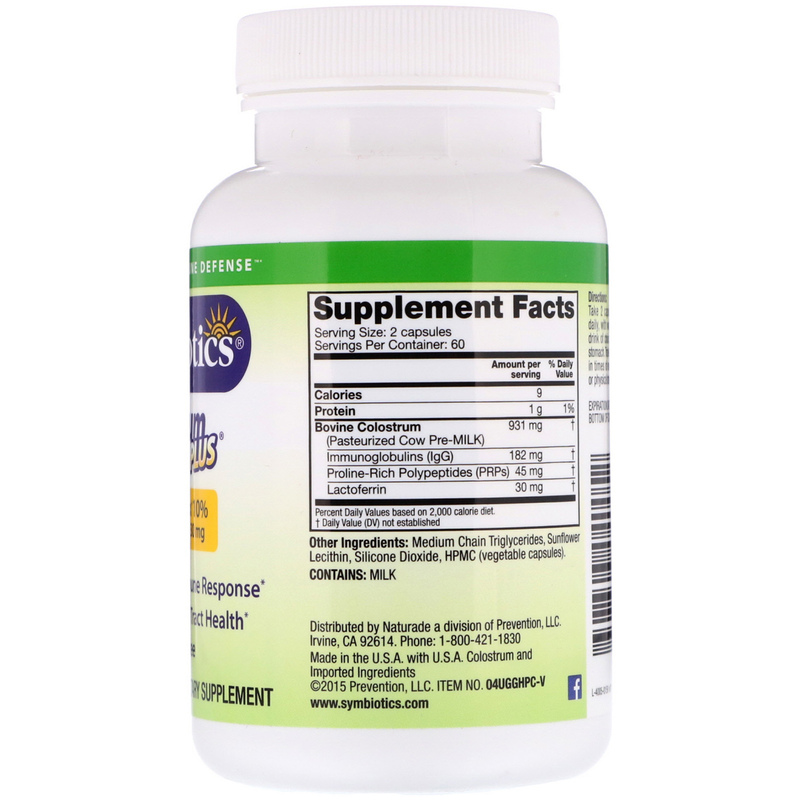 Colostrum Plus with Immulox and Lactoferrin powerfully enhances normal immune factors, providing dual action—in the bloodstream and in the GI tract. 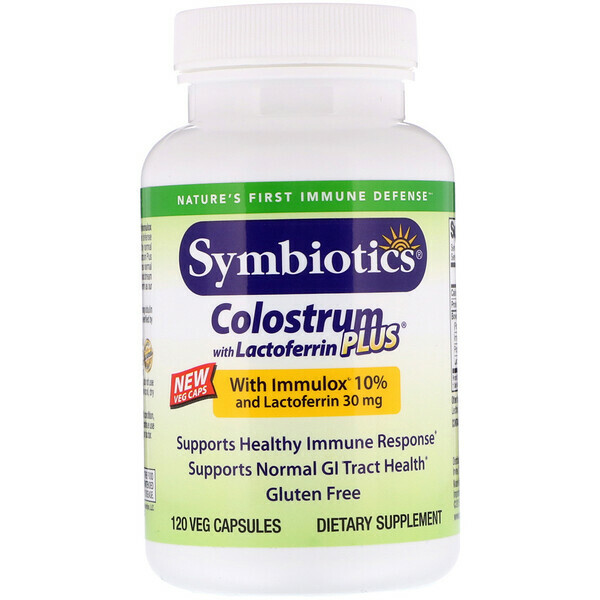 Contains three times the Lactoferrin as our regular Colostrum Plus capsules. Under the Symbiotics label, Lactoferrin, Immunoglobulin (IgG) and Proline-Rich Polypeptide (PRP) levels are verified by laboratory testing. Quality and Purity Assured. Exclusively from USDA Grade A dairies. Only from first milking. Laboratory tested and verified free from pesticides, antibiotics and rBHT hormones. Take 2 capsules, twice daily, with water or your drink of choice, on an empty stomach. Triple this amount in times of environmental or physical stress. Medium chain triglycerides, sunflower lecithin, silicone dioxide, hpmc (vegetable capsules). Each bottle is double sealed for quality and safety. If either seal is broken or missing, do not use. Close tightly and store in cool, dry place (below 75ºF), away from heat. If you have a physician-diagnosed health condition, consult your doctor before taking this product. Discontinue use if you experience adverse reactions and consult your doctor.